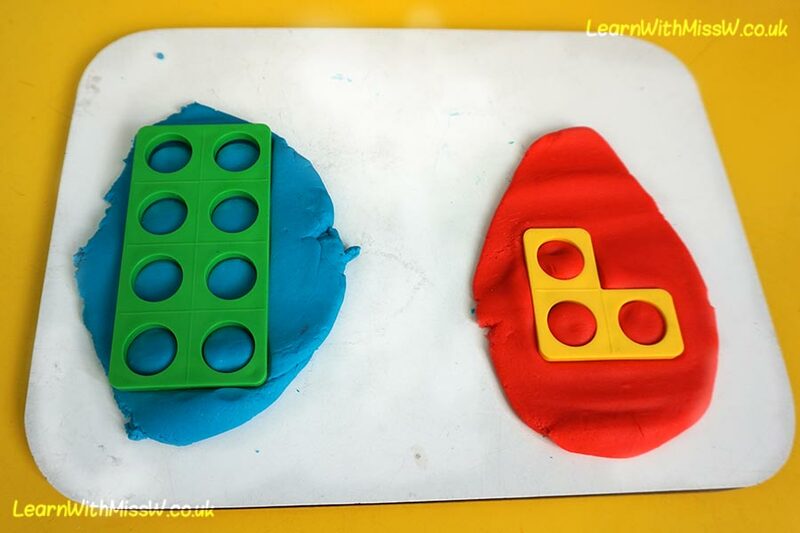 Another great way to explore odd and even through numicon, playdough is both motivational and educational. Building on the introduction to pairing in the Doorway Online odd and even shoe activity, children sort out the numicon numbers and print them at the playdough. Blue playdough is for even numbers that are ‘all paired up’. Red playdough is for odd numbers that have an ‘odd one out’ or ‘a missing partner’ as the children describe it. The children love doing this playdough activity and enjoy revisiting at free choice time. I’m hoping manipulating the playdough (and making a good old mess) will make this concept memorable! It definitely is appealing to the children in the class that don’t respond well to worksheet style learning.